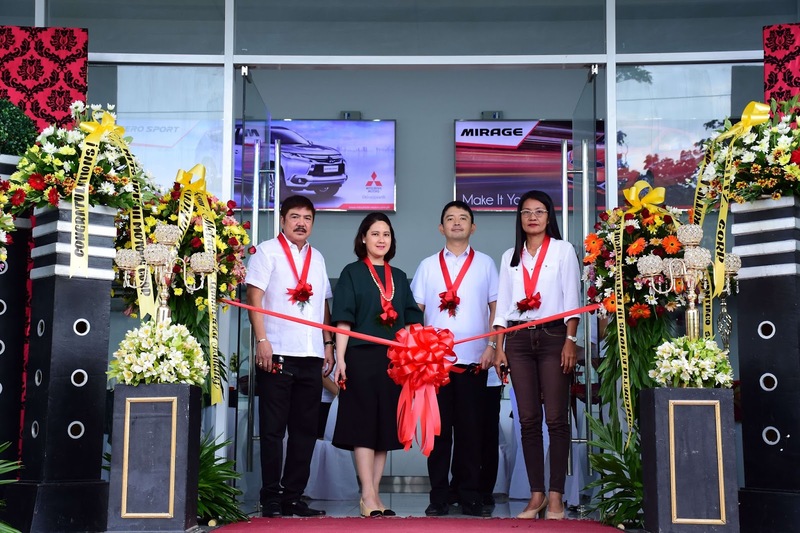 Mitsubishi Motors Philippines Corp. recently inaugurated Freeway Motor Sales of Cabanatuan Corp. (FMSC) – Tuguegarao branch, the newest addition to its growing number of dealerships nationwide. FMSC – Tuguegarao is the 51st authorized MMPC dealership operating in the Philippines and the 3rd dealership MMPC inaugurated for the year 2017. Tuguegarao’s notable progress and strategic location in the north are deemed to be suitable for MMPC’s goal of expanding its market reach all over the country. As a matter of fact, having seen its great market potential, MMPC is the first automotive manufacturer to put up a dealership in Tuguegarao. FMSC is strategically located in a 2,860 sqm land along Maharlika Highway, Barangay Gosi Sur, Tuguegarao City, Cagayan Valley. The showroom can flaunt up to four (4)display units of Mitsubishi vehicles. The dealership also features a service center which is built with fifteen (15) work bays, one of which is capable of servicing light, medium and heavy duty trucks. FMSC – Tuguegarao dealership is open for sales inquiries and services from Monday to Saturday, 8:00 AM to 5:00 PM. MMPC is optimistic that with the opening of its new dealership in Tuguegarao, the company will be able to extend its reach of providing world-class products and services to more cu stomers.